It is not possible to attend The Hoffman Process and not change. You will feel uneasy, challenged, confronted and at times defensive…but you will also feel safe, supported and strong. Your fellow students come from all walks of life and you will have something in common with each and everyone of them. I shared my process with doctors, housewives, business owners and corporate professionals. We learned how to notice our pain and the destructive patterns we go into when we feel threatened, guilty or fearful. There was a deep sense of camaraderie at being in the same boat with these people and we developed level of trust that I might never again in my lifetime experience. 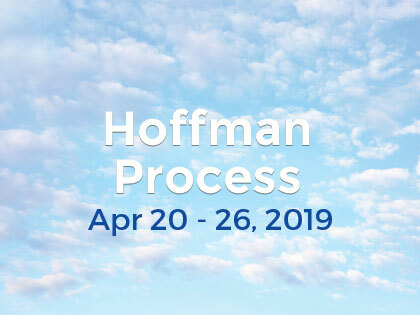 If you want to take responsibility for your life, I highly recommend The Hoffman Process. It will put you on the road to change, and after that it’s up to you.